VIENNA, November 19. /TASS/. Russia lauds the fact that US officials will arrive in Moscow on November 21 to take part in the International Conference on the Non-Proliferation, Russian Deputy Foreign Minister Sergei Ryabkov said on Wednesday. “US Under-Secretary Rose Gottemoeller arrives in Moscow to take part in the International Conference on the Non-Proliferation. It is held by the Centre for Research on Energy Security. It is held twice a year. It is a very important event. The Foreign Ministry supports it and organises the reception for the participants,” he said. Over 200 people from more than 40 countries are expected to take part in the conference due to take place in Moscow on Friday, Ryabkov said. Russia lauds a decision by Gottemoeller and other US officials to take part in the forum, he said. 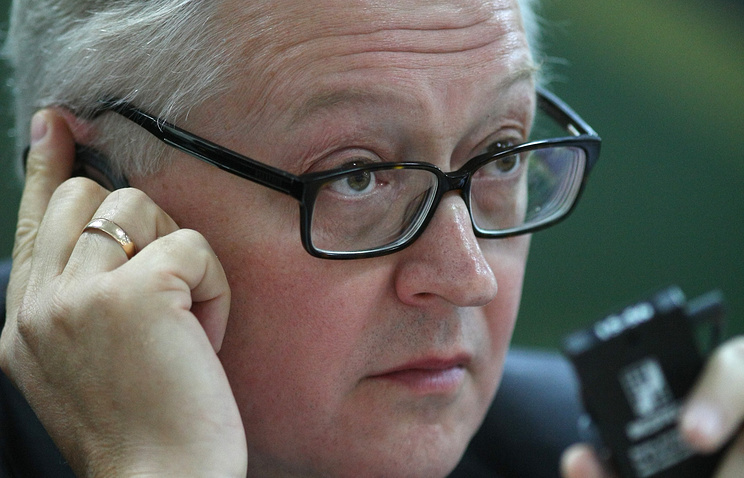 The Russian Foreign Ministry said Ryabkov was expected to meet with Gottemoeller. The dialogue “is holding on strategic stability, the work of five nuclear powers, preparations for the upcoming NPT Review Conference, problems of nuclear security and weapons of mass destruction”, Ryabkov said. “I don’t think that Iran’s nuclear programme will be on the agenda,” he added.